Angie (Leisner) Brickner went home to be with the Lord on August 7, 2018. She passed peacefully at home surrounded by her family after a courageous battle with pancreatic cancer. Angie was the daughter of the late John and Elizabeth (Kostreva) Leisner. Angie married Earl Brickner on June 8, 1945. They were blessed with three children and together raised a close and loving family. Mom was employed by the UW-Extension Food and Nutrition Program for 25 years as a budget counselor and educator for disadvantaged families. She also worked for Brown County Department of Social Services as an agent with struggling teenagers. She volunteered her time generously in the community. She believed strongly in giving of herself and money wherever she identified a need. She taught her children to do the same. Mom received several meritorious awards and recognition for her superior work and dedication with families in Brown County. She also worked a second job as a waitress at McCall's Supper Club. Mom was an amazing cook. The presentation of food was one way she showed her love to anyone who entered her God-filled home. She was the family matriarch, the rock, always available to help us all on our journeys through life. She was our mom and our best friend. Her presence was an oasis for all when the world was harsh. Mom was an amazingly beautiful woman who provided guidance, and taught us all by example to love, accept, forgive and to grow into being caring, compassionate, generous and understanding adults. Her very being emulated light and LOVE. Children and babies held a special place in her heart. Mom touched and changed the lives of all who were blessed to have known her. She was a strong Christian who brought us to God and taught us by example of His love for us. The bonds that formed with many struggling and cast aside teenagers have lasted a lifetime. Mom will be greatly missed, forever loved, remembered and revered by family and friends. She now holds a position in Heaven as a beautiful angel held in highest regard. Mom loved and adored her children, grandchildren, great-grandchildren and husband. Her family was her life. She loved animals and children and honored these revered spirits with donation to those charities. She loved her rose garden. 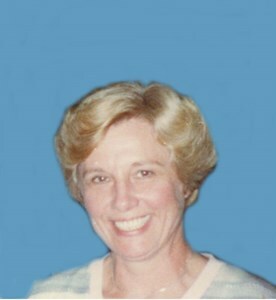 She loved doing art projects with her grandchildren when they were young. Mom also loved nature, swimming, traveling and both Christian and Classical music. Her mission in life was truly working for the Lord. Angie is survived by her husband, Earl, who loved her dearly and was by her side until she ascended into Heaven. Other survivors include her children: Sandra Brickner (Yelm, WA), John and his wife, Candy (Bader) Brickner, Jane (Brickner) Prue and husband Keith, grandchildren: Jessie and his wife, Tahnae Brickner, Rachel Brickner, Elizabeth and Seth Prue, and great-grandchildren, Neveah Lindeman and Kahlil Metz. Mom has joined in heaven her parents, John & Elizabeth Leisner, sisters: Celia Kralovetz, Mollie Abhold, Caroline Mattrisch, Esther Leisner, Lydia Sudowsky, and brothers: Lloyd Leisner, Albert Leisner, Henry Leisner, and Fred Leisner. Mom was lovingly cared for to the very end by her daughter, Jane and daughter-in-law, Candy, and her husband, Earl. A private memorial will be held at Newcomer Funeral Home with dear friend and officiant, Pastor Chuck Welch. We wish to give thanks to Jessica RN, an Aurora Hospice nurse who lovingly helped and supported us through Mom’s end of life journey. To share a memory of Angie or leave a special message for her family, please click the Share Memories button above. Add your memories to the guest book of Angie Brickner. My grandma is missed dearly by all. She was a strong willed woman. Always taking on new projects and very artistic! She had taught me what it is to love all, good, bad or indifferent. Grandma, was dedicated to helping the less fourtnate in our community. Grandma, loved to bake, cook and can foods. She was very thrifty, making a little go a long way! ???????? Granny was 1 in a million. Missing her from the moon and back! Until we meet again grammy you will always hold a place in my heart. Aunt Angie was a warm and comfortable person for me. She was affectionate, kind, and welcoming whenever I saw her, on my infrequent visits. She always insisted on sending some tasty gifts of food when we left. i will miss her. I loved to remember what she told me more than once: 'Life is too short to hold unforgiveness." To the family of Angie Brickner especially Earl and John you have my deepest sympathy and condolences for your loss. Although it's been many years since I've seen or spoken to Angie I'll always remember her as a kind warm hearted classical lady who always had a smile on her face and welcomed you into her home. I know she touched the lives of many over the years, she will be missed by all that knew her. What a touching obituary. Oaks Family Care Centers would like to extend our heartfelt prayers and sympathy to the family of Angie Brickner at this time. Although we did not know her personally, we learned so many wonderful things about her from her granddaughter Rachel as Rachel is one of our very dedicated employees. In reading about Angie's life, I can say that as she looks down from heaven she will smile upon Rachel as she carries on her grandmother's tradition of touching the lives of others.